hiya! This is yet another post but I knew you love Snazzy Sunday so I couldn’t leave it. 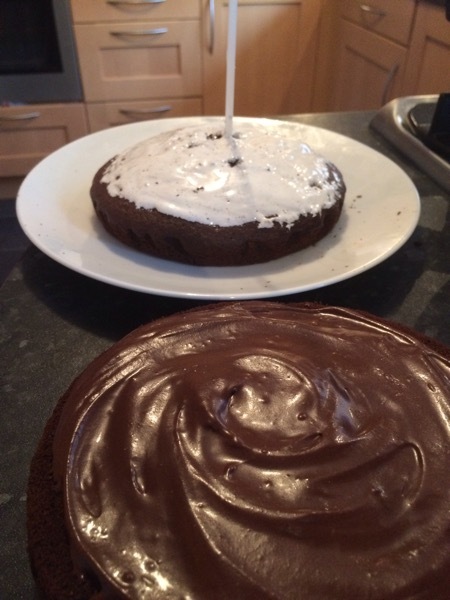 Anyway in my About blog post I said that I absolutely love baking 🎂🍰 and me and my mum have been baking cakes for members of our family’s birthdays so I thought it would be great to post about the cakes we have made. I had a lot of fun baking these cakes and I hope you enjoy reading this blog post, so without further a do here are the cakes! This cake I baked by myself ( it took quite a while 😂 ) it’s a really yummy double layer chocolate fudge cake with marshmallow fluff in the centre. I made my wee bro’s favourite cartoon characters ( Red and Yellow from Larva) from ready to roll out icing. 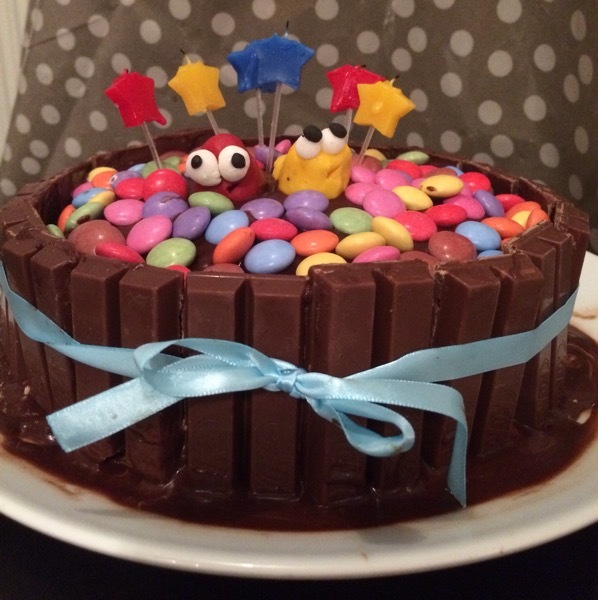 To finish off I added smarties, kit kats round the side and a blue ribbon to keep it together. a balloon holder which u turn upside and place on a dish. 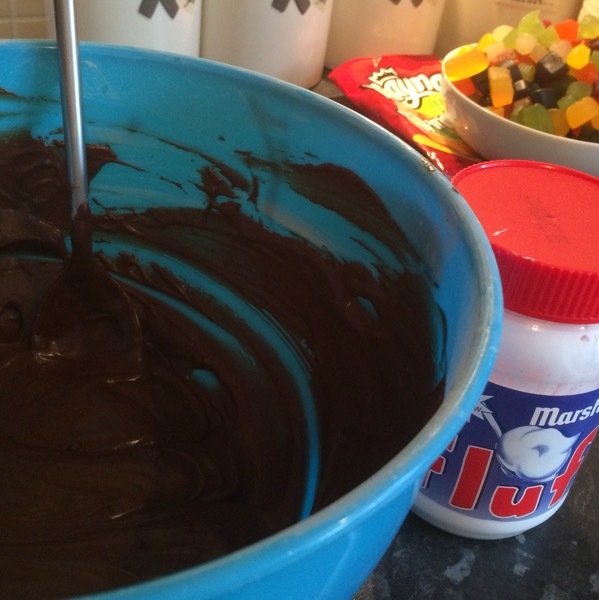 U then coat the stick with melted chocolate and once it becomes slightly set you start to place the sweeties, chocolates of your choice onto the stick. This is the tricky bit !! 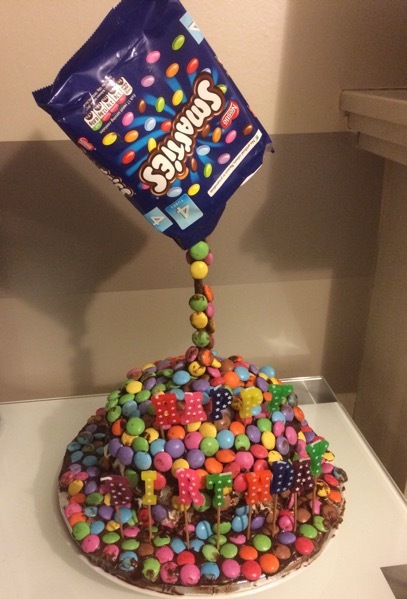 As u can see with the smartie cake it got a bit messy. 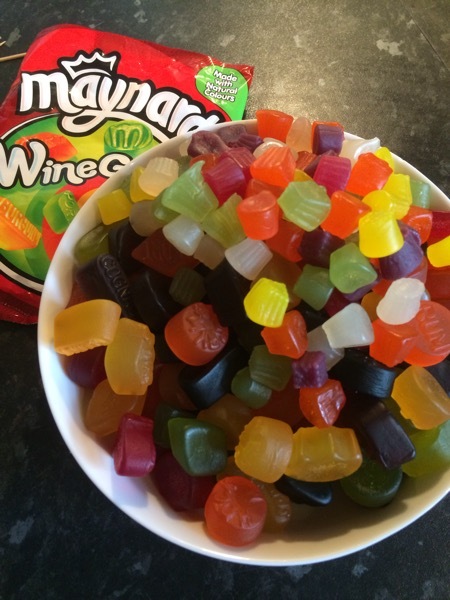 We def did better with the wine gum one. 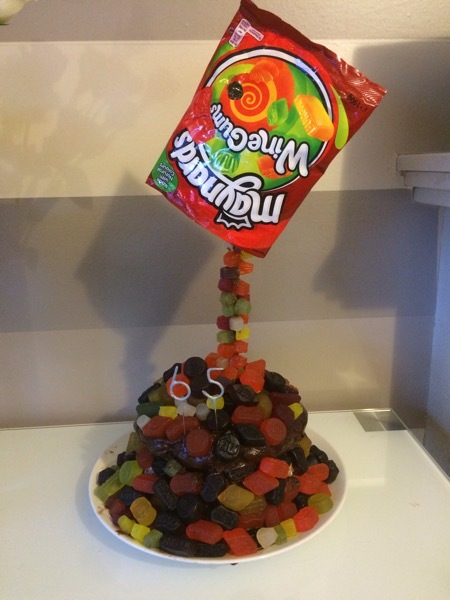 U then start placing the rest of your sweets all over the cake so it looks like the sweets are pouring over the cake. Again wait till the fudge is nearly set as it could all slide off.